Derby's waste - a rubbish blog ! : Recycling going DOOOOOWWWNNN ! Waste is a major issue across the UK, across Europe and beyond as globally we fight to save natural resources via recycling and composting. Europe has set a 2020 recycling target of 50% and is about to set an increased target of 65% by 2030 as part of its circular economy package. 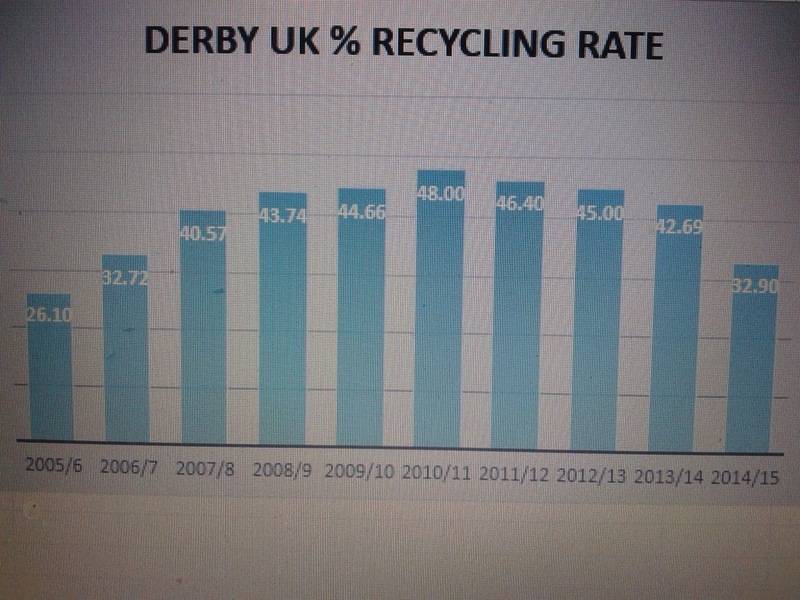 Here in Derby UK the city council joined forces with Derbyshire County Council to set a 2020 recycling target of 55% although it isn't clear if the councils will meet that target. For their part in this Derby City is consistently failing to boost recycling by removing the free garden waste collection and now removing blue bin recycling from areas of the city which has led to a dramatic decline in the recycling rate for the city which you can read more about here http://derby-waste-a-rubbish-blog.blogspot.co.uk/2014/12/the-decay-of-recycling-in-derby.html . The council really has managed to turn its recycling rate around because god forbid for them they were almost getting pretty good at it before someone realised with a waste incineration contract to be provided for recycling didn't really sit comfortably with such projects due to the requirement to procure waste to feed the beast. 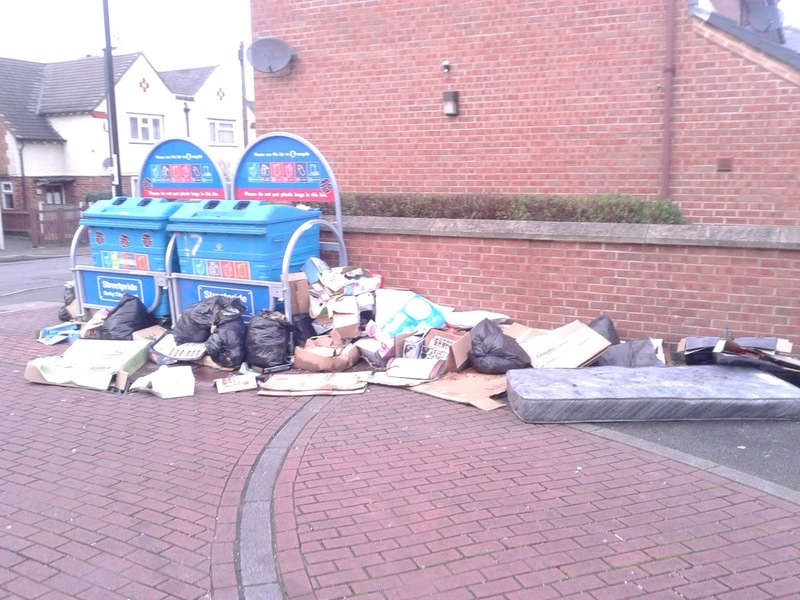 Even when people try and recycle at the bring sites they are restricted by the small opening for materials to be put in - meaning larger material such as cardboard boxes get dumped around the facility - which then attracts any amount of non recyclable waste. 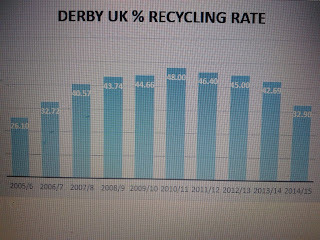 Derby has a recycling target! when will the council wake up to this?